MARKET, sponsored also by Lu-Owl Vintage, Music Saves, and Superelectric Press. also include vintage clothing, records and other unique items. happened to miss it last month! from 12 pm to 6 pm. 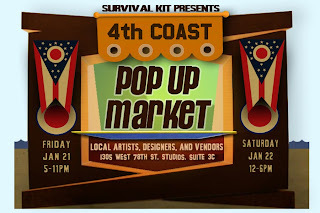 For more information, please visit http://www.facebook.com/survivalkitgallery. 1305 West 80th Street, Suite 3C"